Been dreaming of a Myrtle Beach golf vacation? Well, don’t just dream about it – give Myrtle Beach Golf Authority a call and turn your dream into a reality! Myrtle Beach golf vacations are our specialty. We can help you with everything that you will need to make a golf vacation full of memories that will last a lifetime. We have been booking Myrtle Beach golf packages for over a decade and can help you get the most out of your money! Have specific Myrtle Beach golf courses in mind for your Myrtle Beach golf vacation? No problem, with over 100 courses to choose from, we will more than likely have the specific courses that you want to play, and at a great price too. Think you can’t afford a Myrtle Beach golf vacation? That’s where we come into play. Leave the stress and hassle behind and let our experts work you the best deal on the beach. We have relationships with over 100 Myrtle Beach golf courses and work directly with our sister company, Elliott Beach Rentals, to offer you a huge selection of beach homes and condos that you get to call home for the time you are here for your Myrtle Beach golf vacation. We will work with you to find the perfect course for you group, based on skill level, location, budget and even preferred length or greens! 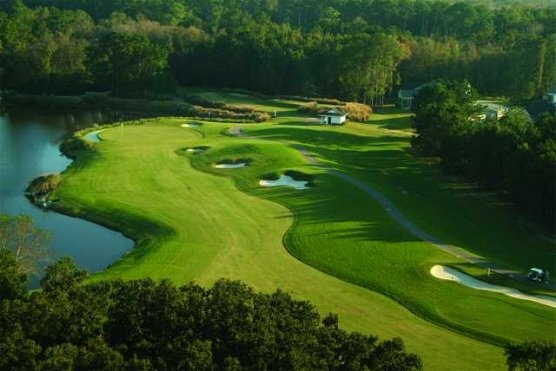 Regardless of what kind of course you are looking for, we can put together a great Myrtle Beach golf vacation for your group that will leave you talking about it for months after you’ve returned home. With our large selection of beach homes and condos to choose from, you will be able to decide what represents your group the best for your Myrtle Beach golf vacation accommodations. We have large beach houses on the oceanfront, across the street from the ocean and even on the channel in North Myrtle Beach. Looking for a place with a private pool, or so many bedrooms that each golfer can sleep in their own room? We can make that happen. When you think of a Myrtle Beach golf vacation, you might think of amenities like indoor and outdoor pools, hot tubs, lazy rivers, fitness centers and even an onsite restaurant. We also have plenty of condos to choose from for your next Myrtle Beach golf vacation. Don’t wait – it’s never too early to begin planning your next Myrtle Beach golf vacation – Myrtle Beach Golf Authority is just a phone call away.